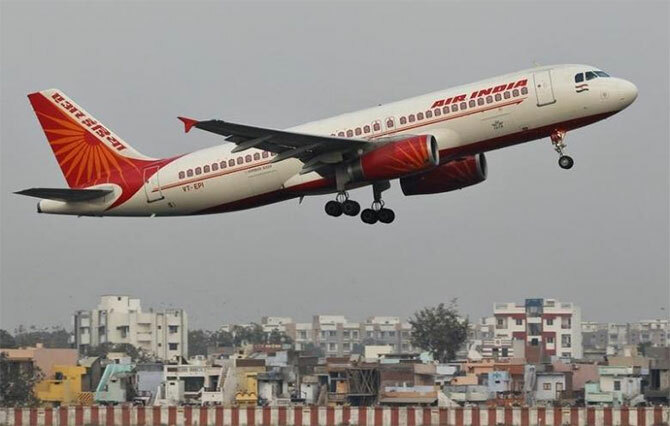 In a shocking incident on board an Air India international flight, an intoxicated man allegedly urinated on a seat where a woman passenger was sitting, prompting the Civil Aviation Ministry to seek a report from the national carrier. Air India, in a statement, on Saturday 'strongly' condemned the incident on its flight and also apologised to the passengers for the inconvenience they faced on board its aircraft. The incident took place on August 30 when Air India flight AI 102 was on its way to New Delhi from New York. Indrani Ghosh, daughter of the woman passenger, tweeted about the incident Friday evening. '@SureshPrabhu, @SushmaSwaraj @AirIndia. 30th Aug AI102 JFK to Delhi, seat36D. My mother travelling alone had to face extreme shock and trauma when a drunk passenger post dinner service fumbled across to her seat, removed his pants and urinated on her seat! Please look into it urgently,' she said on Twitter. Accusing Air India of only changing her mother's seat after the incident, she said in response to a tweet from activist Kavita Krishnan, "My mother while waiting in her wheelchair at Delhi airport (for her connecting flight), saw him (the accused passenger) walk away." 'We strongly condemn the incident perpetrated by a passenger on our flight AI 102 of August 30 (JFK to Delhi). Our sincere apology to the passengers of the flight inconvenienced by this act,' Air India said in the statement. It also said its cabin crew 'promptly' went all out to alleviate the inconvenience of the passenger from the moment the incident occurred till the flight touched down at Delhi airport. 'While an airline has no control over the behaviour of an individual passenger, our crew are trained to handle any situation with utmost care and concern,' Air India added. Following the incident, junior aviation minister Jayant Sinha directed Air India to follow up the matter immediately and report back to the ministry and aviation regulator, Directorate General of Civil Aviation. '@airindiain please follow up immediately and report back to MoCA/DGCA. Very unfortunate that your mother had to go through this harrowing experience,' Sinha said in his tweet. Are we that different from Ravindra Gaikwad? Airline Passengers: You have rights!